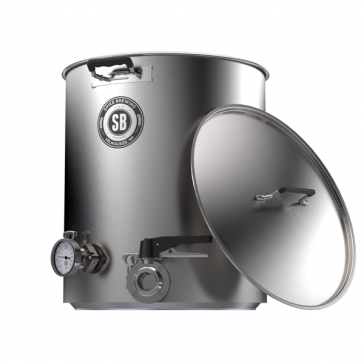 Spike Brewing`s Spike Plus line of kettles is an improvement on an already great platform! Spike Plus draws more from the pro side of brewing, using the standard tri-clamp fittings. Tri-clamp fittings do not hav any threads and use a gasket and clamp which allows for quick attaching/detaching of fittings. Spike Plus kettles are for the serious homebrewer. Ports are also offset so that you have ample room to use butterfly valves or any other accessory with ease.